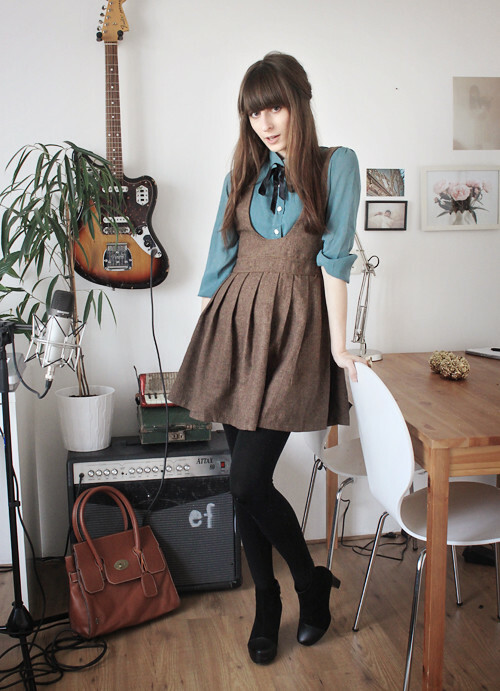 Dress from Romwe, shirt and leather bag from Kling. I moved my furniture around a bit this week, I always love doing that. Feels much more feng shui, haha. Also, I can take outfitphotos in the living room now instead of my rather hideous kitchen. Have you entered the giveaway below to win a beautiful fair trade bracelet by Lisanne Janssen? What a nice outfit ! I love the combination of these colors. i am so in love with this outfit. reminds me of what someone might wear to school a few good decades ago. perfect :) also rearranging the furniture is always so satisfying. i haven't really rearranged much bcos my flat is sort of well ... everything is sort of in the perfect place! but! i have been redecorating, and changing the mood and colors of my living room, and that is just as satisfying as well! Wow, the second I saw this outfit all I could think was WOW. It looks absolutely awesome on you.. very jealous! love how you paired these pieces for sure. so preppy and totally darling..
i love your shirt! beautiful color. Outfit looks pretty! Mooie kleuren combinatie! So so so pretty! <3 I love pinafores - and you wear yours oh-so perfectly! what a cutie! love the tie around your neck! 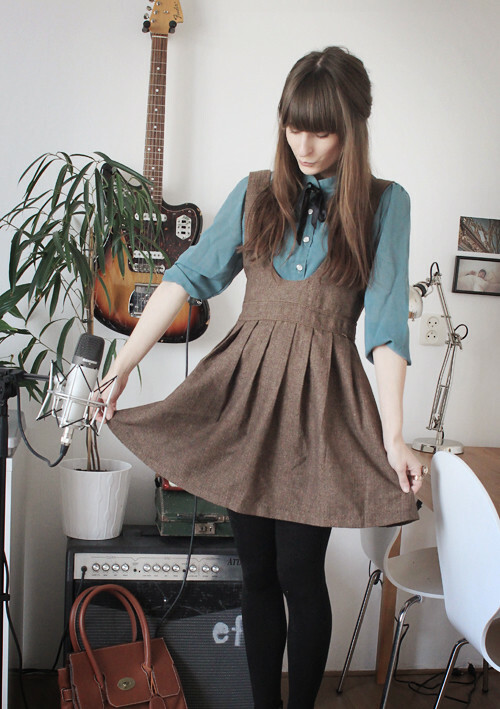 This is such a cute little dress!